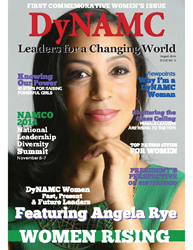 It is an honor to have been chosen to be featured in DyNAMAC Magazine, August 2014 Issue. According to their press release ” the current freedoms women enjoy are due to the struggles and persecutions endured by those who came first. Though women have progressed considerably, there is still much to be done. This is a wonderful magazine featuring women who are changing the way the world works. Follow this link to their Press Release and Full Issue. By Percoa USA in Uncategorized on September 2, 2014 .